Additional Best Free CRM & Contact Management Software. For the consultant, micro business or entrepreneur, these free CRM solutions are often adequate for your requirements. At least initially. Mostly for single users, these free CRM ‘carrots’ are there to entice you to upgrade to their more full blown – advanced or multi-user versions, which is fair enough, but the free CRM products mentioned below are capable enough in their own rights. Startup Edition is free – full featured, but limits of 500 Accounts, 1,000 Contacts, 1,000 Leads. Great general CRM, especially strong in Group Calendaring, Order Management, Project Management, Service Management. Syncs all your Contacts and Calendar items to any iOS or Android device, also OSX and Outlook. Highly Recommended. Zoho CRM empowers organizations with a complete relationship lifecycle management solution for managing organization-wide Sales, Marketing, Customer Support & Service and Inventory Management in a single business system. Their Free CRM is for 3 users, additional users pay a mere $12 p/m. Recommended. 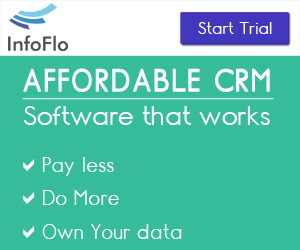 The FreeCRM hosted CRM solution compares favourably with the big price ticket webased CRM vendors like SalesForce. And their single user online crm is still free. Recommended. Apart from using Karma CRM to keep track of all your to-do’s, you can associate them with your milestones, contacts, assignments and tasks. Team managers can also monitor and manage their sales teams and leads. KarmaCRM will always have a free version, and will introduce a tiered pricing model in the future. Try this free web based PIM if you want a simple free PIM to remember all your miscellaneous tasks from anywhere. Now your better half can also update your to-list or vice-versa! Web based CRM. Offers Free single user account or a paid one with prices starting at only $4.99. Paid accounts include the integrated email, document storage, additional users and more. 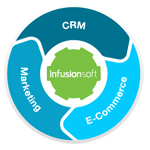 Free web CRM service (supported by Google Ads) to keep track of customer interactions. 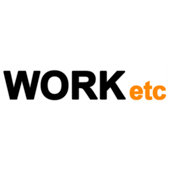 Built with Google Web Toolkit and hosted on Google App Engine. Raynet markets itself as an easy-to-use, does-it-all CRM. It’s free version allows for two users, 150 accounts, 50MB of storage, and full customer support. Upgrade to 20,000 accounts and one TB of storage for just $19/user/month. Raynet’s system is very aesthetically pleasing and features an “account card” where you can glean most of the information you need about a customer from a single glance, including how much they’re worth to your company. Raynet is a fairly new company, and the fact that it’s headquartered in the Czech Republic. The USA office is located in Florida. 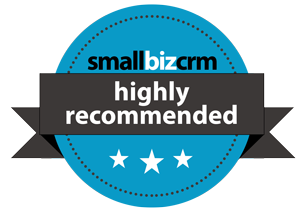 AgileCRM is a cloud-based CRM aimed at small to medium businesses. 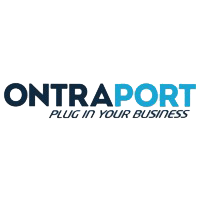 The service provides contact management, marketing automation, web analytics, telephony, newsletter management, 2-way emails, real-time activity alerts, third-party integrations and lot more in one simple package. With integrated web analytics, AgileCRM provides real time notifications when your star contact is browsing your website or opened your email. AgileCRM lets you send automated emails and tweets, scores your leads based on their activity, do life cycle based marketing, and close more sales. Free for up to two users then starts at $9.99. If your organization uses MS Outlook extensively, you also might want to have a look at these Outlook based CRM solutions. They do not offer any free single user CRM freebies though.